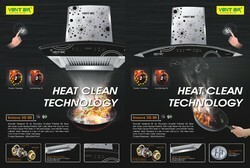 Auto Clean, Heat Clean, High Suction power, Low Wattage, Attractive price for dealers only. 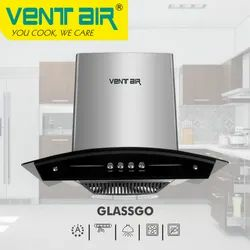 Life time motor warranty..
- We offer our clients superior quality Sola-Music European Style Kitchen Chimney, which is manufactured according to industry standards. These are offered in various customized and standard specifications to meet the bulk requirements of our clients. Playing an active role in enhancing the decor of kitchen. These are delivered to clients in attractive packings.